Franzen calls himself a "painter of sound," a musician whose mission is to convey something vivid and beyond our world, and his latest certainly shades in his palette some. Reanimation was a gauntlet of peaks after peaks after peaks, an inspiring but occasionally exhausting trip into euphoria; Save Your Heart, on the other hand, counters the joy with a bit more gravity. The somber piano chords that open "Heartbeats" set an introspective tone, and when twinkly xylophone melodies find their way in, they're pitched against four-on-the-floor bass drum and marching band snares, grounding the ethereal melodies some. Even when the track explodes into a blitz of soaring strings and drums, it's not quite a triumph: it feels like something more. At times, Save Your Heart demands the listener's patience, but for good reason. "Sparks" opens with chilly guitar melodies and gradually adds on more, revealing intricacies as it continues to layer—but its most powerful moment is its ending, where instead of bursting at the seams it opts to strip down to its most essential elements. It's a small moment but a nice change of pace and a reminder of Franzen's gift for melody even in humbler settings. "Shimmer" progresses in a more conventional manner, but its pleasures are more subtle than expected, the atmosphere hushed and warm even at its most intense. It's "Snow," however, that best delivers on its promises. The seven-minute track begins simply with a whimsical, wordless vocal refrain and a recurring piano line, but gradually it reveals a much more complex structure. Midway, the anticipated build-up stops for just a moment and we're treated to a quiet passage led by strings, only for the other instruments to come back in for one last go. The minute of ambient noise closing the song hits just the right note: peaceful but lush with possibilities, the winter teeming with unexpected life. Peer a little closer at the picture Franzen paints, however, and you'll see the frost forming at the edges. 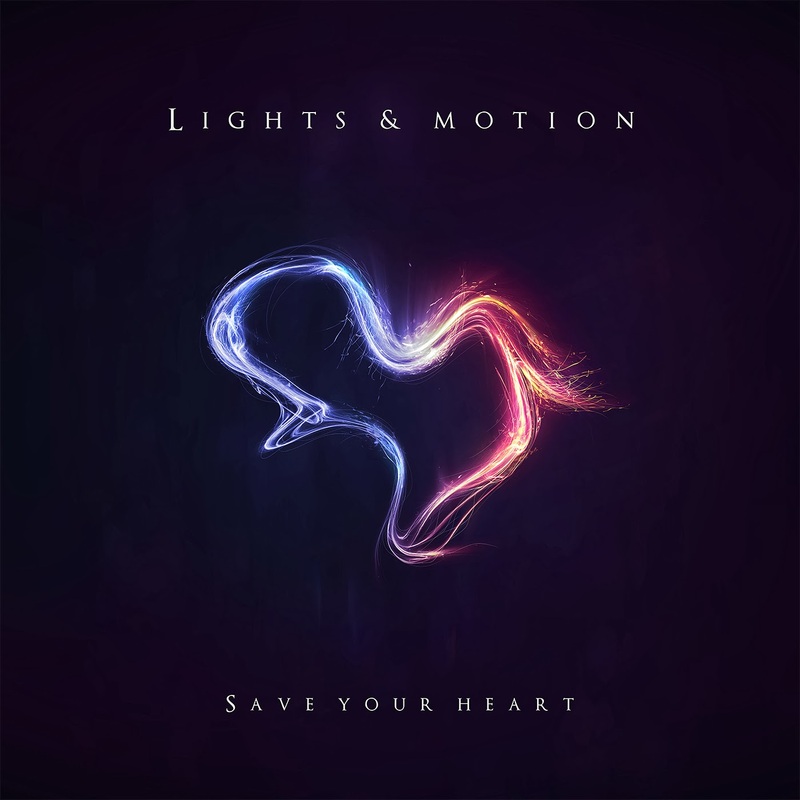 Coming from an artist known for soundtracking the epic side of life, Save Your Heart is surprisingly raw, even melancholy. Ambience is a prominent force: many of the songs don't end so much as they melt away, and this effect permeates the entire album with an unsettling ambiguity, as if there's something dark lurking in the corners of these compositions. "Bright Eyes," for instance, may soar momentarily, but its whisper of an ending scatters wispy electronic synths in the wind, a sobering postscript to a brief moment of transcendence. Franzen also makes good use of empty space to convey feeling: on "Crystalline," he brings the piano to the forefront, letting its lonely melodies sink into the listener's consciousness. The drums kick in, the strings rise, and the guitar gets thicker, but everything falls around the piano, more a manifestation of the sadness than a response to it. Yet Franzen counters the cold with fiery abandon, making for some of the most visceral moments of his career so far. Save Your Heart's shorter length works to his benefit here: though Reanimation's scope sometimes prevented him from getting too big too soon, here he can tap into his passion without reserve. "Orbit" gets in and out in under two minutes, just enough time for its swirls of noise to coalesce into something more foreboding before "We Are Ghosts" takes over and kicks off the album's ending stretch with a big bang. Composed as a dichotomy, the song first lays out its sadness in desolate piano chords before setting it all ablaze in a glorious burst of light. The towering "Atlas" and the explosive title track follow, each offering its own emotional resolution and closing the album on a reaffirming note. Critics of Reanimation held its unabashedly uplifting nature against it: they argued that music offering such a simple way to catharsis was too cheap, too easy. With Save Your Heart, however, Franzen reminds us that it's never easy to overcome our small tragedies, to hold onto our dreams, to embrace our best selves—precisely why he has to do this, to at least try and forge a better vision from the darknes. Lights & Motion may have come back down to earth, but he’s won my heart by saving his own.